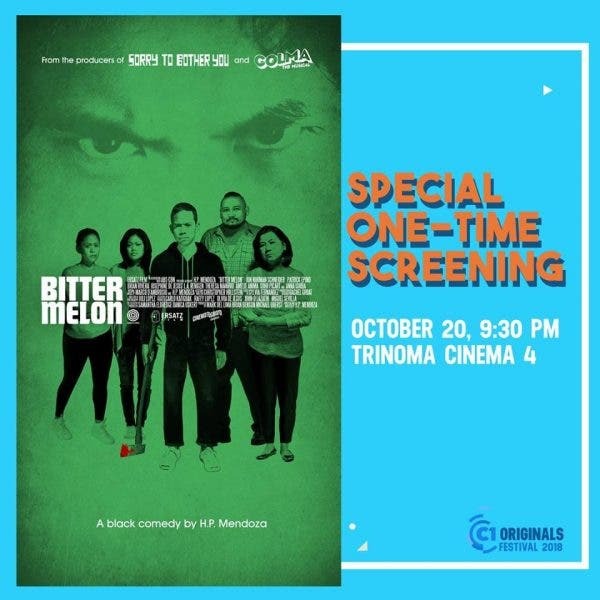 A foreign family dramedy directed by Filipino-American filmmaker H. P. Mendoza, “Bitter Melon,” will have a special, one-time screening at the ongoing Cinema One Originals festival this Saturday (October 20), 9:30 PM at TriNoma Cinema 4. The film revolves around a Filipino-American family who reunites for a Christmas party in San Francisco—in the family home—only to find out that the second oldest child has been ruling the house with fear, intimidating everyone including his mother, and even physically abusing his wife. What starts as a fun holiday reunion turns into a darkly humorous crime scene as the youngest son leads the family to conspire on how to best murder the violent and abusive sibling. “Bitter Melon” made its world premiere as a Centerpiece Film at CAAMFEST36 in San Francisco in May this year. It was first introduced in the Cinematografo International Film Festival (CIFF) in November 2017. H. P. Mendoza is best known for his micro-budget work as screenwriter, composer and lyricist on “Colma: The Musical” (2007), as well as his award-winning directorial effort, “I Am a Ghost” (2014). The film stars Jon Norman Schneider, Patrick Epino, Brian Rivera, Josephine de Jesus, L.A. Renigren, Theresa Navarro, Sohr Picart, Amelia Anima, Anne Ishida, Corey Jackson, Ryan Morales, Safiya Fredericks, and Vint Carmona.